"Everyone was fabulous and all of our guests had a great time. One guest even emailed after to say it’s one of the best IT events he has been to." 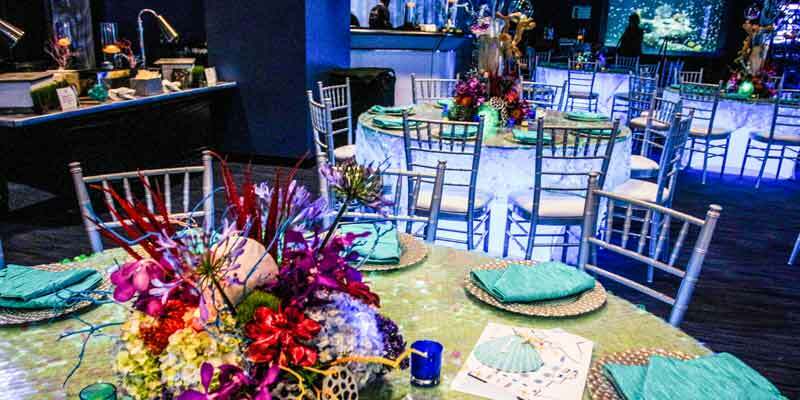 Blu Culinary Creations, the exclusive caterer for OdySea Aquarium, invites you to host your event somewhere extraordinary! Host an enchanting wedding by the water or sip refreshing cocktails while gazing at fascinating sea life. 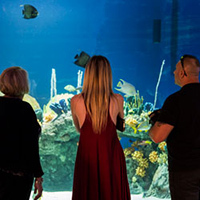 From intimate receptions to corporate gatherings to black tie galas, OdySea Aquarium will provide a unique experience and lasting memories. 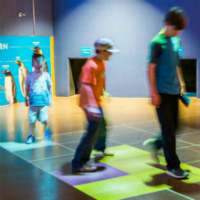 Offering a variety of unique venue space options, your special event or party can be customized to fit your vision and needs, and the guest list can even include a penguin or otter! Please note event bookings are for evenings only. Please click here for information regarding group visits to the aquarium. We do not currently offer any birthday packages or daytime event reservations at this time. For birthday parties, we recommend purchasing regular admission tour tickets and dining at the Lighthouse Café. "The Aquarium was a great place for our Spectrum Award Show. We had over 200 people at our event and everyone loved it. The space is great the food is even better." Put on your OdySea wetsuit and SeaTREK helmet and get ready to walk in! Our certified divers will take you deep into one of our largest exhibits where you’ll be surrounded by thousands of colorful and curious sea creatures. Invite a penguin, otter, bird, sloth, or reptile to mingle with your guests! An expert handler will chaperone the animal and provide a hands-on learning experience for your event. This one-of-a-kind voyage through the living sea will leave your guests speechless! "Thank you again for a wonderful event Friday night, the feedback has been outstanding. Your crew really worked with us to keep it smooth and it went well. 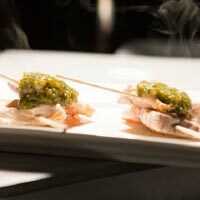 Also, the food was really good, better than other venues!" Our venue options provide unique spaces that will amaze and excite your guests. Our spaces can be combined or rented separately. Our goal is to provide you with the perfect floor plan for your special event! We offer both plated, buffet style and strolling receptions depending on space selected. Complete aquarium rental is available as well as lower or upper level rentals. Enjoy libations and small bites while gazing at moon jellyfish, varieties of sharks and the magnificent martini glass exhibit. Party with Caribbean reef inhabitants such as clownfish, banded butterfly fish and green moray eel. The brilliant Great Barrier Reef is included in this space. Dine under the sea with an expansive view into a 200,000 gallon habitat featuring sharks, rays and sea turtles. Expand your dinner into Bizarre & Beautiful where guests can enjoy unusual sights of the deep ocean including the majestic lionfish, chambered nautilus and the Giant Pacific Octopus. 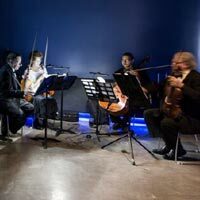 Enhance your event with a 3D movie experience or add on the Bizarre & Beautiful area and enjoy the unusual sights of the flashlight fish, the king crab, and the giant Pacific octopus. Host a meeting around a spacious boardroom table with impressive views into Shark Waters. Introduce your guests to the variety of fearsome and fascinating species found in Rivers all over the world. From paddlefish and piranhas, to tropical birds and the Asian small clawed otters, your guests will be entertained from start to finish. Make sure not to miss Squidney the 2 toed sloth! Blu Culinary Creations nautical themed restaurant is the perfect backdrop for your event. With a 37 foot interactive Tidal Touch pool and a massive sting ray touch pool your guests will experience marine life up close. Adore Pip, Polly and the whole OdySea penguin family. Our African black-footed penguins will create a buzz with their charismatic personalities and aquatic skill leaving your guests with a lasting impression. Great space for kid friendly events with multiple interactive elements to keep them busy. Amazing add on space to Rivers of the World and the Lighthouse Café. Evening events will include up to four hours. Extended hours can be considered and pro-rated. 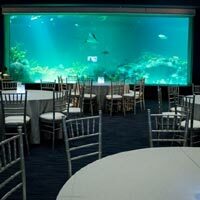 Event set up time is determined based upon the Aquarium schedule and will be no earlier than (1) hour prior to your event unless otherwise discussed and pre-arranged. Site fee includes the use of the contracted event space and exhibit space, appropriate security staff, maintenance, and cleaning fee. Availability is limited during our peak season of March through July. All food and beverage arrangements must be made through Blu Culinary Creations. There is a food and beverage minimum that must be met in addition to a site fee. We provide all Eco-Products brand compostable or recyclable disposables for all buffets and strolling stations. China and flatware can be rented at an additional cost. Plated dinners include flatware and china. We can provide a variety of options for bar service. Your guests can enjoy a hosted bar (billed on consumption), non-refundable prepaid drink tickets with a cash bar to follow, or a full cash bar. Barware is compostable plastic. Glassware can be rented at an additional cost. Blu Culinary Creations will provide bartenders for the event. Wedding cakes are allowed from a licensed and bonded bakery. We cannot store the cake for more than 4 hours. A charge will be associated for cake cutting on site. Any outside vendor including; floral, photography, entertainment, bakery, must contact the Event Manager no later than 2 weeks prior to your event date. Event Manager will work with the vendor in coordinating delivery times and location, set up the schedule, and pick-up. All vendors must provide their own means of transporting their goods including all setup and strike. All materials must be removed from the Aquarium within one hour of event conclusion unless other arrangements have been agreed upon. Caterer nor Aquarium is responsible for any damaged or missing materials. Plated Dinner - Up to (25) 66” round banquet tables, (25) white floor length linens, white linen napkins, appropriate china, flatware, and table glassware. Strolling Receptions - Scattered cocktail tables, floor length linens and (1) votive per table, environmentally friendly and compostable disposables. Buffet Dinner - Up to (25) 66” round banquet tables, (25) white floor length linens, environmentally friendly and compostable disposables. Additional tables, chairs, specialty linens, dance floor, rental furniture, bar glassware, décor items, menu cards, audio/visual needs, and specialty gifts, can be arranged by your Blu Culinary Creations Event Manager and added to your event billing. No event may involve the support for opposition to any political standing or involve fundraising for political candidates or legislation. We do not allow the client to utilize any advertising or promotional materials which include the Aquarium name or logo. Neither the Aquarium nor the Caterer will sell tickets for your event, nor may any tickets or exchange of money be allowed at the Aquarium. We ask that your group conducts themselves with the utmost respect of the Aquarium. Due to the nature of the Aquarium’s marine and animal life we require music to remain at a certain decibel and must be strictly adhered to. Amplified sound must be kept to sound levels below 80dB at all times. The Aquarium prohibits confetti, glitter, rice, birdseed, feathers, adhesive tape, sand, and Mylar and helium balloons, smoke machines, bubble machines, and any products containing Volatile Organic Compounds. No items can adhere to the walls, floors, exhibit graphics, furniture, or surrounding areas. No open flame candles permitted. All banners and signage must be pre-approved by the Event Manager and installed by Aquarium Personnel for an engineering fee of $50.00 per banner. Flash photography is restricted. Photo booths, green screens, and the like can only be placed in certain areas within the Aquarium which needs to be approved prior to the event. DJ and lighting need to be restricted to non-strobbing lights. More information is provided by your Event Manager upon request. A 72-hour hold can be placed without a deposit. Events that will occur two months out or later, requires a 25% deposit of your food and beverage estimate, along with a credit card on file to hold your event date. (If booked inside of 60 days, a 50% deposit is required). An additional 25% of estimated food and beverage charges are due 60 business days prior to event date. Final payment and guarantee attendance are required, in full, 7 business days prior to your event date. If hosting a bar, the consumed amount of beverages, plus tax and service charges, will be charged the next business day, following your event date. Matt found his passion and enthusiasm for food at an early age in his grandmother’s kitchen in Colorado Springs, Colorado and began his culinary career at only 15 working in the kitchen of a cheesesteak chain in San Antonio, Texas. Years later, after studying business and concluding it was not for him, he decided to attend culinary school at the Austin Culinary Academy in Texas. After graduation, looking to expand his talents and knowledge, Matt enrolled at the Scottsdale Culinary Institute in Arizona where he earned his Bachelors in Hospitality and Hotel Management. While completing his studies, Matt was employed as the Banquet Chef at the W Hotel and Sushi Roku in Scottsdale. After earning his degree from the Scottsdale Culinary Institute, Matt was promoted into the role of Executive Chef for the W Hotel in 2011, becoming one of the youngest Executive Chefs in Arizona at the time. He spent the next three years honing his skills and expanding his knowledge on Asian cuisine and seizing the opportunity to explore a variety of other cultures and culinary influences from around the world. In 2014, after more than nine years with Sushi Roku and the W Hotel, Matt accepted the Executive Chef role with the new and upcoming restaurant, SumoMaya in Scottsdale, Arizona which he held for two years. In 2016, Matt accepted the position of Executive Chef for Blu Culinary Creations and the Lighthouse Café at OdySea Aquarium. We invite you to host your next event or dine at the Lighthouse Café to experience firsthand Chef Matt’s talents and innovative menus and why he has been recognized as a “Best Chef” by Best Chefs America for the previous consecutive four years. Our menus are developed using local, seasonal and sustainable foods. We partner with multiple local farms to provide the best and highest quality ingredients, as well as we follow the Monterey Seafood Watch program. We also use Eco-Products brand compostable or recyclable disposables where possible. All buffet dinners and strolling stations includes disposable products made from 100% renewable resources in efforts for environmental sustainability. China and flatware can be rented at an additional cost.